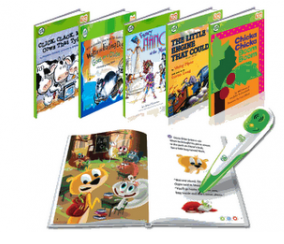 Starting Sunday, Target will have Leapfrog Tag books on sale buy one, get one free! The sale will last until November 24th. There is a printable coupon for $5 off any Leapfrog Tag book when you watch a 45 second video on either the Chevrolet Equinox or Traverse. You will be prompted to print it at the end of the video. Thanks to Couponing to Disney for this great find!